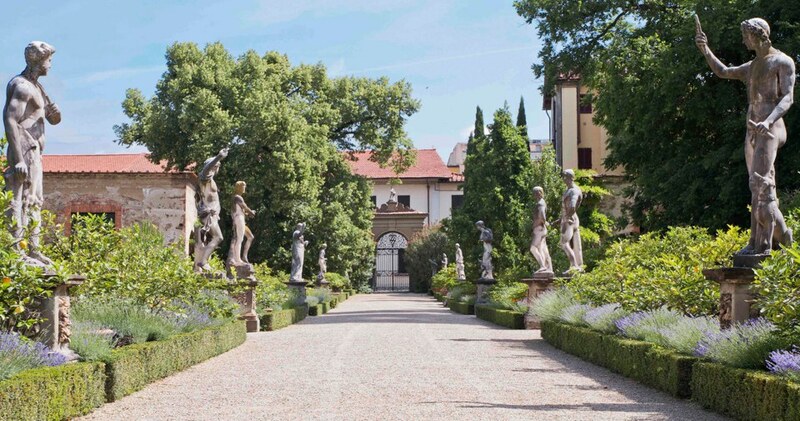 Concealed behind the façade of one of the mansions along what was known as the Prato di Ognissanti is one of Florence’s finest gardens. 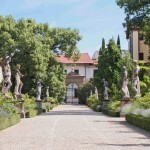 In 1591, having purchased land along the Prato d’Ognissanti, Alessandro Acciaiuoli asked Bernardo Buontalenti to design a “pleasure lodge” with extensive grounds. 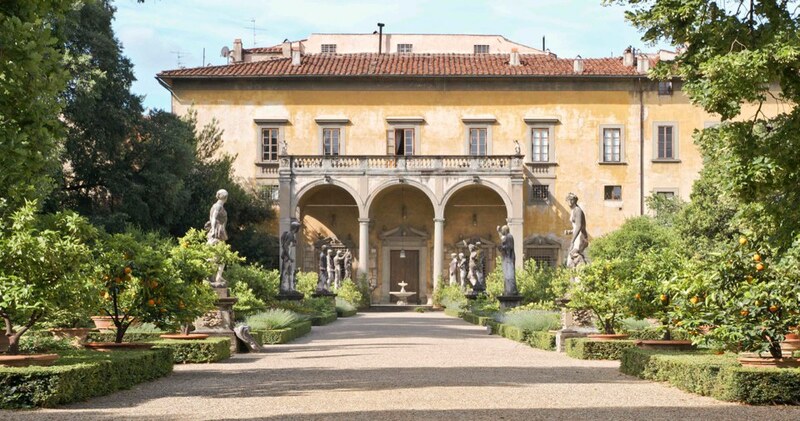 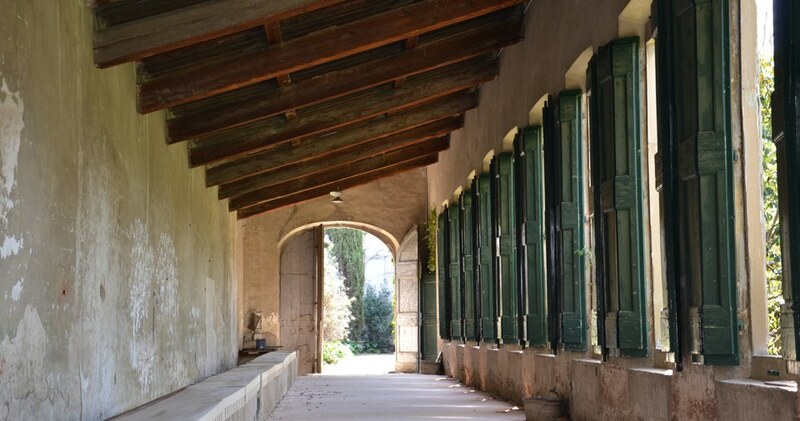 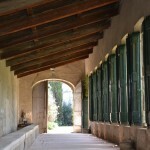 Buontalenti designed the complex hydraulic system to bring water to the fountains, with the pathways lined with sumptuous rows of cedars, the loggia and large “inginocchiata” (or kneeling) windows that can still be seen today. 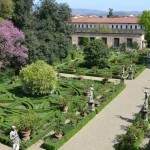 In that era, the garden also contained the famous “statues of the four seasons” that stand today at either end of the Santa Trinità bridge: Summer and Autumn by Giovanni Caccini, Spring by Pietro Francavilla and Winter by Cristofano Stati. 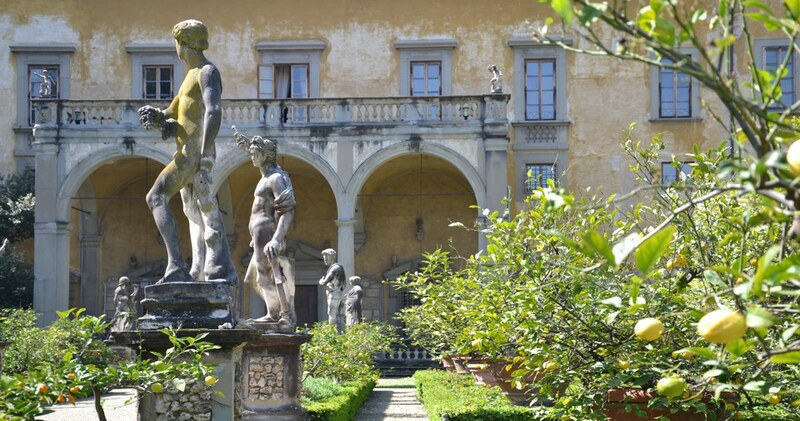 The Acciaiuoli garden also contained another major piece, the Bacchus by Giambologna, which can be found today at the Bargello Museum. 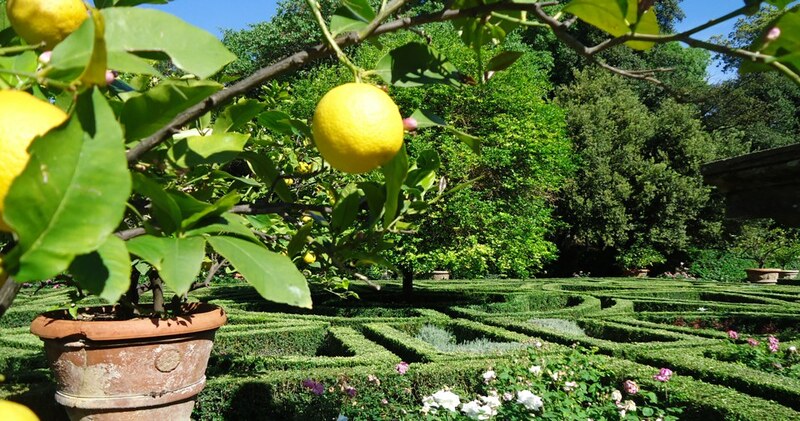 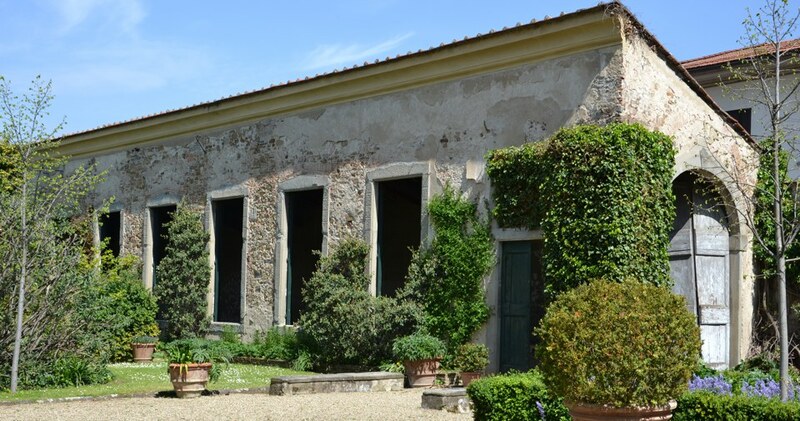 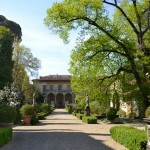 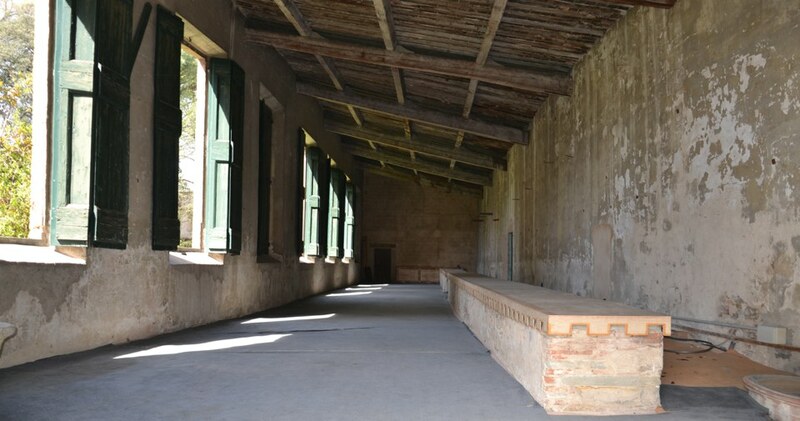 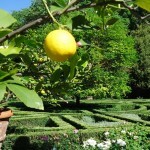 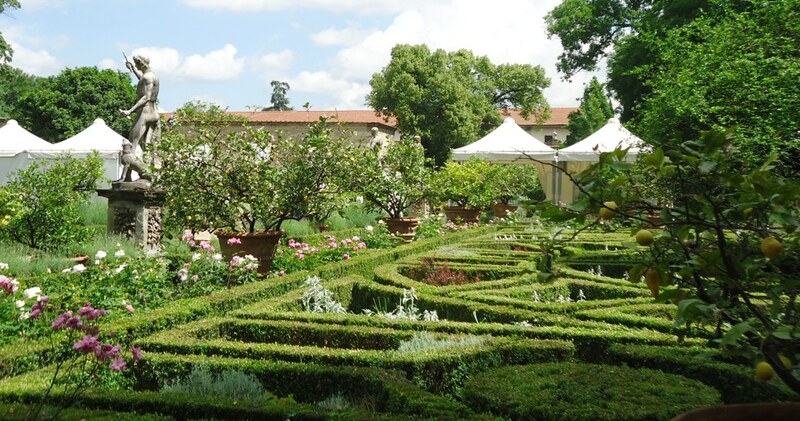 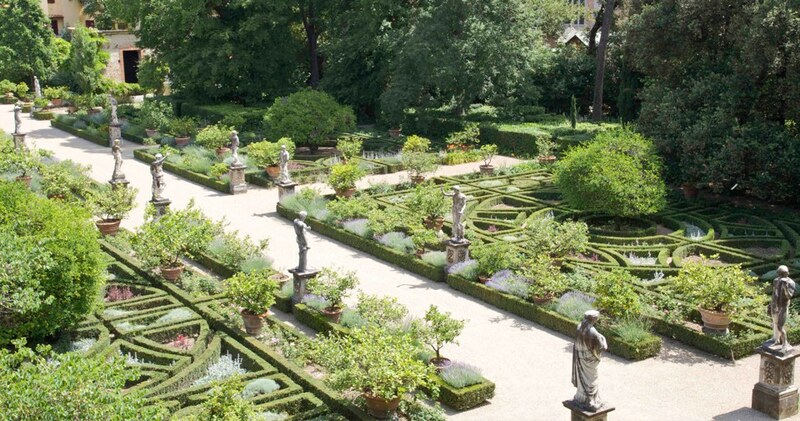 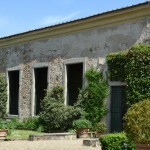 Following the purchase in 1620 by Filippo and Maddalena Corsini in the wake of the bankruptcy of the Acciaiuoli family, they assigned the task of finishing the lodge to Gherardo Silvani who also reworked the layout of the garden. 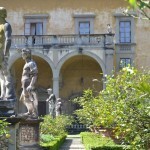 Silvani’s contribution can be seen in a number of details in the spaces on the ground floor, such as the ornamentation in the architectural moldings. 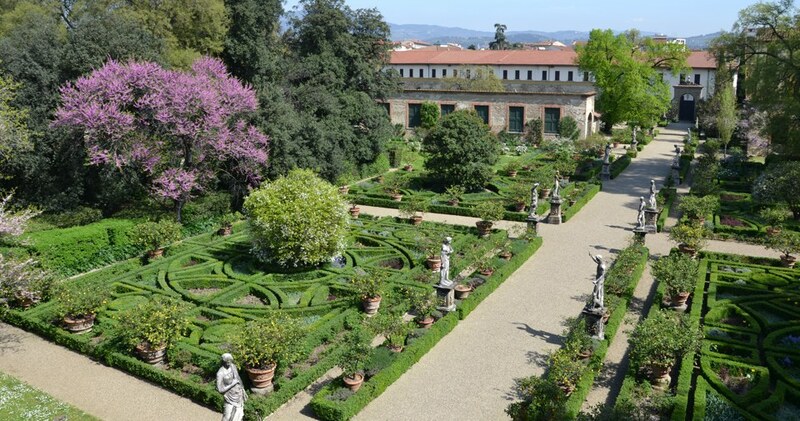 But it is the Italian-style garden—bounded by the large orangeries, with the sophisticated, geometrical beds, box hedges, lemon trees in vases and statue-lined main path—that clearly reveals the Baroque-style orientation of the architect and his love of scenography. 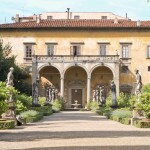 To enhance the sense of length and depth of the main path, the architect made use of the trick of placing the statues and their pedestals at a progressively-lower height, fixing the central vantage point from the loggia at the back of the palace towards Via della Scala, as is seen in the cherub and two lions above the gate and the side pillars oriented towards the inside. 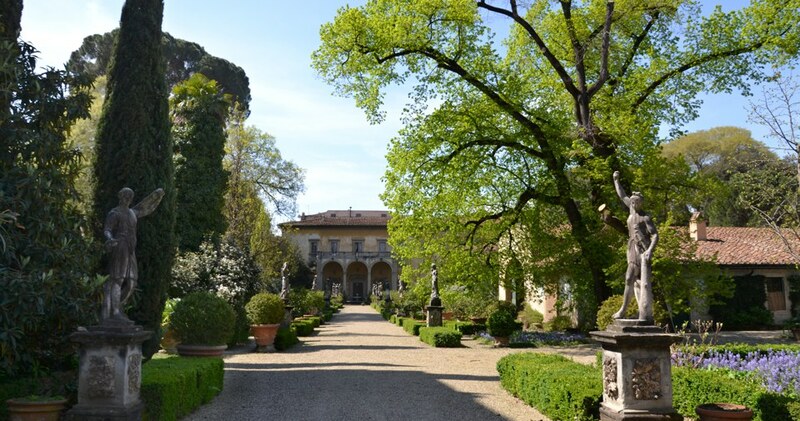 In 1834 the palace became the residence of Don Neri Corsini and his wife, who commissioned both architectural and ornamental work. 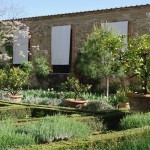 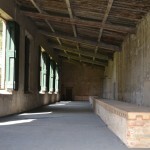 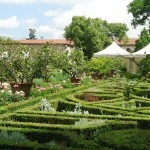 During the same period, the garden also underwent a Romantic-style make-over. 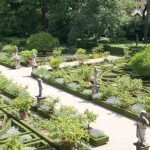 Wooded groves were created, as well as a knoll and little lake—changes that can still be seen in the two wooded areas that create a sort of scenic green backdrop to the garden. 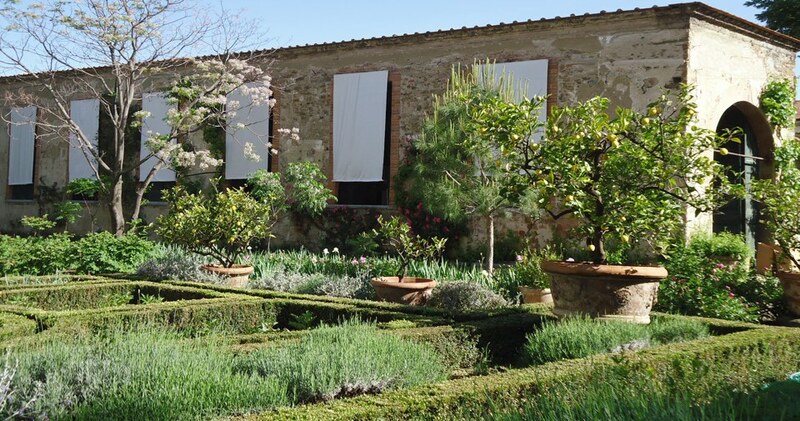 More recently, the garden with its spring flowering of pink and red cistus, lavender, roses, peonies and ornamental cherry trees, was reworked by Oliva di Collobiano.